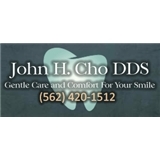 John H. Cho DDS (Long Beach) - Book Appointment Online! When you visit John H. Cho, DDS, we want you to know that your smile is our top priority. we are dedicated to providing you with the personalized, gentle care that you deserve. We proudly provide quality dental care to the community of Long Beach, CA 90815 and surrounding areas. Our featured services are general dentistry, Invisalign, cosmetic dentistry, teeth whitening, dental implants, and much more. We'll be glad to hear from you if you have any questions. Part of John H. Cho, DDS’s commitment to serving our patients includes providing information that helps them make more informed decisions about their oral health needs. Very friendly office. Dr. Cho was kind and soft spoken to my semi- very nervous son.